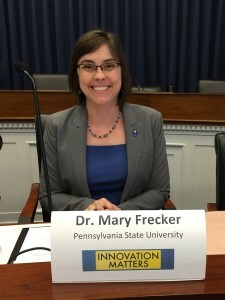 PI Mary Frecker speaks at Capitol Hill on origami engineering and innovation. Dr. Mary Frecker spoke at Capitol Hill in June 2016 about origami engineering. 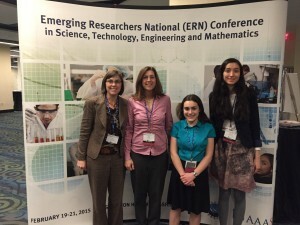 EFRI-REM participants Kelly Forest, Sarah Dangelo, and Hannah Feldstein present their research at the 2015 Emerging Researchers National Conference in Washington DC. 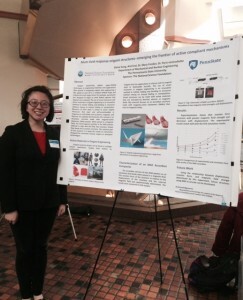 Hannah Feldstein was awarded first place in the EFRI-REM poster presentation competition.